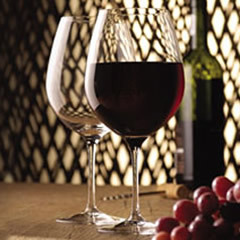 Celebrate Christmas in style with our themed tableware and glassware. Christmas comes but once a year and it's a time for families and friends to get together, have fun and most importantly of all look forward to the year ahead. The Christmas spirit brings about many wacky ideas; think large plastic Santa's in the garden and over 100,000 Christmas lights spread across the outside of a house; but there is one way for you to join in the fun without drawing any funny looks from the neighbours: The festive period is one of the busiest times of year. Many people take the time to entertain friends and family that they haven't seen for months on end, while others prefer a more sombre and intimate celebration. Whatever style of dinner you are planning, and even if you are planning a Christmas Eve or Boxing Day celebration, having the right Christmas tableware can really help ensure that you create the perfect ambience. 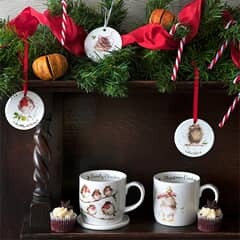 Our ranges of tableware and glassware have been specifically designed for Christmas, and at eCookshop.co.uk you will find a wide array of delightful Christmas plates, saucepots, spice bowls, storage jars, tea lights holders, placemats plus much more. We have taken care to stock only the highest quality themed tableware and glassware and we have everything you need for a fully themed Christmas party. Alongside tableware and glassware, we also have a range of excellent fireplace and window sill ornaments to choose from, each competitively priced and crafted to the highest of quality. 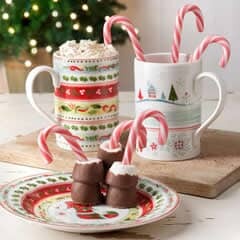 Many dinnerware manufacturers and designers have created Christmas crockery and Christmas tableware sets. Well-know and celebrated manufacturers like Portmeirion and Spode, for example, have specific lines for this very occasion. Some of them look so attractive and appealing that they would also make attractive and heartfelt gifts. If you've been invited for Christmas dinner, why not give a Christmas tree serving plate? If you're looking for the ideal gift for somebody close to you, buy them a Christmas dinner set. With so many festive tableware items available, you can buy the perfect gift or create the perfect decorative display for your home. 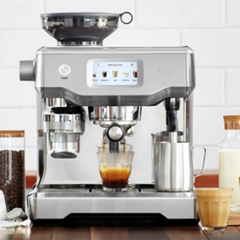 ECookShop is the official kitchenware and tableware website of Dawson's Department Store. 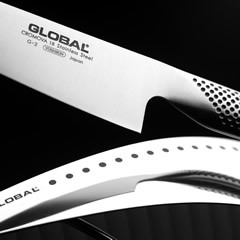 We are based in Clitheroe, and are always happy to receive customers to see our full range of stock. 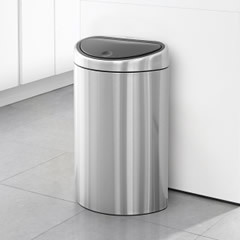 Alternatively, you can call us with any questions you might have about our product range. Finally, you can buy through our secure online store, and if you spend more than £50 on your order, you receive free delivery to your UK address. German company Villeroy and Boch was formed in 1748 and has become one of the largest manufacturers of fine porcelain and china. Its products were found on the Titanic and have featured on the tables of European Royal Families for more than 200 years. There are Villeroy and Boch items on the Pope's table in the Vatican, and you will regularly see their items featured on some of the biggest and most prestigious TV shows and films. They have pedigree and they have heritage. 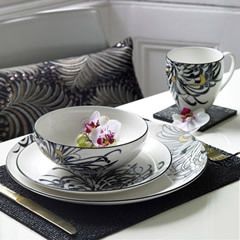 They also have a large selection of tableware and kitchenware items. From cups and mugs to serving plates and full dinner sets, you can adorn your table with some of the same designs as members of royalty and elite diners around the world have access to. For many people, an idyllic image of Christmas is one that is filled with presents and, in particular, toys for the children. 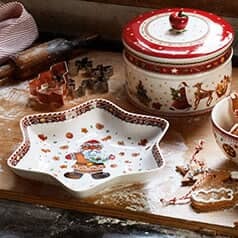 The Toys Delight Christmas crockery set is designed with beautiful pictures of children's toys and festive images of Santa, Christmas trees, and wrapped gifts. The range includes mugs and cups, candleholders, and other items that are perfect for a centre piece or for a display in any room of the house. As well as being able to buy crockery and dishes, you can also buy the Fairytale Park scene, which comes complete with its own accompanying book. Portmeirion Group was first established in 1960, by the daughter of Sir Clough William-Ellis who designed the Welsh village of the same name, and that became the setting for many of the company's products. Susan William-Ellis had worked for a small pottery company called A. E. Gray for a number of years before she and her husband bought and took it over. Initially, the couple decorated pottery but in 1961 they bought Kirkhams Ltd which gave them the ability to produce as well as decorate the items. 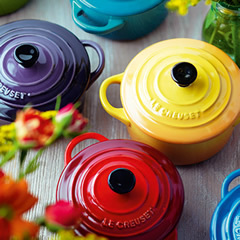 The Botanic Garden range was launched in 1972 and this became the company's bestselling line; it is still made today, with new and regular additions being introduced regularly. In 2009, Portmeirion bought Royal Worcester and Spode, bringing a lot of Spode's manufacturing business back to the UK from the Far East. The company still produces its high class and appealing pottery in Stoke-on-Trent. 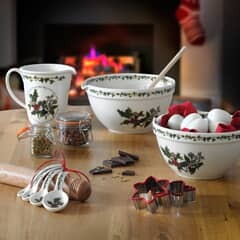 Holly and Ivy are two of the most iconic symbols that represent Christmas, so it stands to reason that a company renowned for its traditional design would incorporate these into their Christmas crockery sets. The collection includes items like a 3 piece tea set, which is quintessentially British. There are also heart shaped serving dishes, pitchers and glasses, measuring jugs, and you can even buy a full Holly and Ivy Portmeirion Christmas tableware set to decorate your Christmas table. 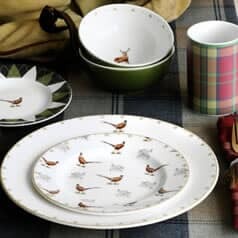 Now owned by the Portmeirion Group, Spode is another name that is closely connected to Britain's rich pottery heritage. 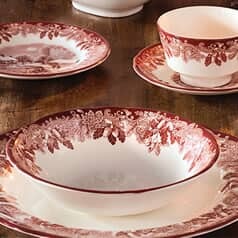 It was established by Josiah Spode in 1770 and is celebrated for creating the under-glazing technique and for developing a recipe for fine bone china that is arguably the predecessor to all fine china in production today. Although the company was placed into administration in 2009, Portmeirion Group stepped in and bought both the Spode name and its existing stock, although they did not buy the manufacturing facilities, which were moved back from the Far East to Portmeirion's factory in Stoke-on-Trent. If you are looking for attractive and traditional Christmas serving dishes and Christmas plates, then Spode has a great selection that is simply perfect. 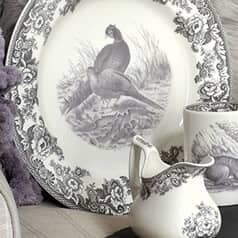 The Spode Christmas Tree range is one of the company's best known and longest running pieces. It includes glasses as well as plates and serving dishes, and you can even buy giftware sets that are based on the same festive design. 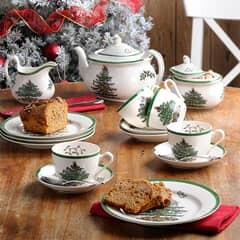 Due to the success of the Christmas Tree design, Spode also introduced a collection called Christmas Jubilee. It offers a colourful and more modern looking twist on the tree design. It primarily includes coaster sets and sets of cups and mats but you can also buy Christmas serving dishes in this same design. Many other designers and manufacturers have created beautiful looking Christmas designs. Churchill China, known for crafting fine bone china mugs and cups, have a series of children's sets. 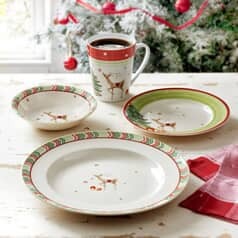 Included in this range are the 'Twas The Night Before Christmas Melamine Set and a similarly themed Mug In Hat Box set. These colourful, modern looking sets are not only great for children but also for adults that turn into children during the festive season. Buying a full Christmas dinner set means that you don't have to buy pieces individually. You can make sure that the patterns match on every item you use, and you can save the trouble of having to try and shop around to buy each individual item. If you entertain large numbers of people for Christmas dinner, you can buy multiple sets or buy additional items to complement the set that you decide on. You do need to check what is included in each set, but a 12-piece dining set normally includes 4 large plates, 4 small plates, and 4 bowls. A 16-piece set adds mugs, cups, or glasses to the collection so that you have everything you need in a single, convenient collection. 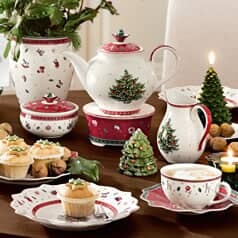 As well as being able to buy sets, you can buy individual items of Christmas crockery. Buy serving plates for bringing the food out on, or for serving nuts and snacks in the living room before the big meal. Buy coasters and glasses to give to your guests when they walk in. 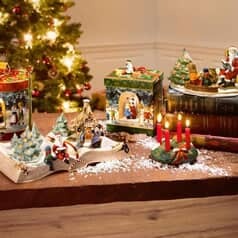 Christmas is such a popular time of year, and people put so much effort into their table display and settings, that manufacturers have created an equally expansive range of items to meet the demands of customers. 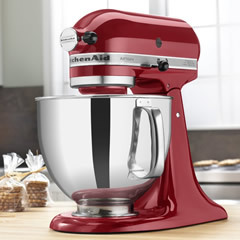 At ECookShop, we love Christmas just as much as the next person. 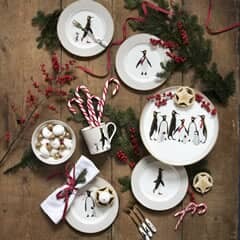 We stock a regularly changing selection of Christmas plates, dining sets, and other festive tableware items. 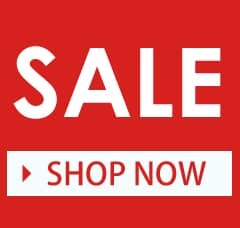 We offer competitive prices, regularly have sales and discounts that bring the prices down even further, and if you place an order of £50 or more, we include free delivery to your UK address. 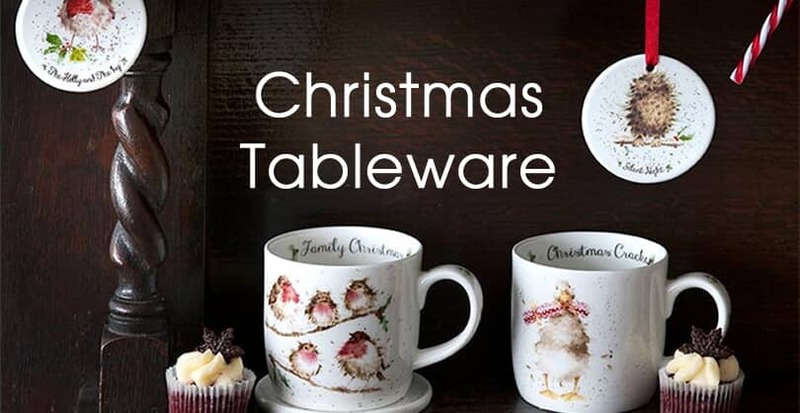 Feel free to call us if you have any questions about specific products, or you are looking for a range of Christmas tableware. Alternatively, you can call in to our Clitheroe based department store to see the full range, or buy directly from our secure and convenient online store.